Come to Me and just rest in My presence, says the Lord. You need not weary yourself and be encumbered with endless worries and cares of this life. Cast your confidence upon Me and let Me carry you and all that you carry, says the Lord. Lean upon Me. Let Me handle everything! I want you carefree and unburdened. I want you to be light hearted and joyous. 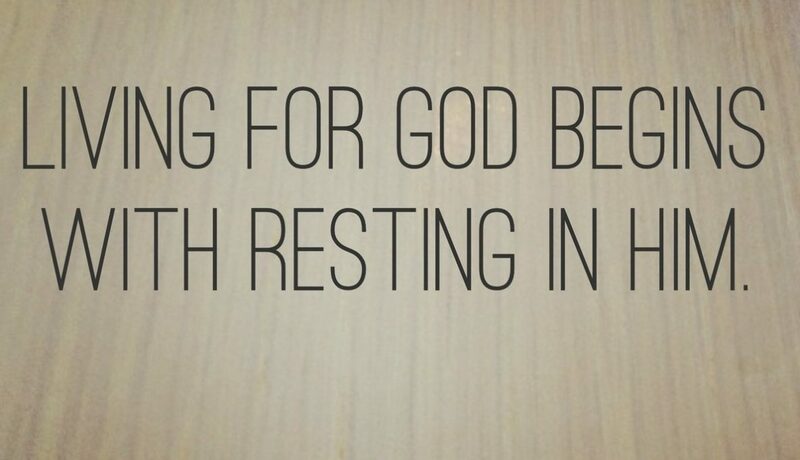 Just rest in Me and let Me refresh you, says the Lord. I will give you peace in the middle of the conflict and Am a shelter for you in the time of storms. You need not fear. Trust that I will provision you and make a way for you when there is no way. I Am the way maker, says the Lord, and nothing is a challenge to Me. I own the heavens and the earth that I created for My purpose and all is under My command. Relax and enjoy the liberty that I have given you and rest in Me. I will give you perfect, abiding peace as you relinquish your burdens and cares to Me and allow Me to work on every detail of your life, says the Lord.